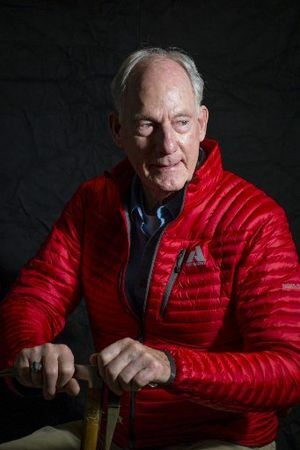 The charming and legendary Jim Whittaker was in The Seattle Times newsroom Wednesday and participated in a live chat about the 50th anniversary of his summiting of Mount Everest, the first American to do so. Times columnist Ron Judd was the moderating. Everest is a glorious and beautiful mountain. Adventurers will always want to test themselves on its magnificent walls of snow, rock and ice. Good for them. But, in the next 50 years, I hope we can learn from both our successes and failures, and let experience be our guide. Kate Riley: 206-464-2260 or kriley@seattletimes.com; on Twitter: @k8riley. Editorial page editor Riley's column appears regularly on editorial pages of The Times.